Many candidates will fail to send letters, allowing your correspondence to make you appear better qualified. Yours should show your business acumen, demonstrate your writing skill, clarify any outstanding issues, add important qualifications, express your appreciation for the interview, and reiterate or suggest next action steps. A standard business letter format is usual for acknowledging most interviews: In rare circumstances (e.g., if interviewing away from home and typing is unavailable), a hand-written note is acceptable. Send an original letter to each interviewer. The contents may be similar, but personalized. Do not send one letter with copies to others. Assume that they will be exchanged and read by each other, but may contain similar statements which apply to each person. Thank-you letters begin by conveying your thanks, normally adding, "for your time and interest in discussing the position of ________." You may then add clarifying comments which enhance your capability or show how you "fit" into the organization. You should end by reiterating your understanding of the next steps or indicating what you will do next. You might close by restating your appreciation. Forwarding your resume to an Executive Search Firm requires a cover letter that makes you a candidate for potential future searches, provides salary and preferred location conditions, and recognizes the processes of such firms so they can effectively consider you. These firms recognize that the hiring organization is the client and you are the subject. Most will not find jobs for you, even though they may treat you professionally and pleasantly, but will try to find candidates for their clients' jobs. You also need to present yourself positively so that you will remain in contention to compete successfully with the literally hundreds of others who apply. If you are responding to a particular opening which is being recruited by an Executive Search Firm, you should follow the guidelines of a usual cover letter noted in the previous section. The standard business letter format is required. You need to focus your letter, beginning by expressing that you wish to be considered for upcoming openings, and the field and level you are qualified to fill. You may wish to use similar "hooks" in writing to search firms, including: (1) Compliment the firm's reputation; (2) Use the name of any referral; (3) Refer to news items; and (4) Make interesting observations. You may then wish to sell yourself by listing some accomplishments or traits. For Search Firm transmits only, in the Housekeeping section you will need to provide pay information and relocation restrictions. Search firms must know your pay level and/or requirements to respond to their hiring organization clients and will not consider you unless they know. You are relatively protected for later bargaining even though you disclose this information to the Search Firm, as the hiring firm's compensation is normally a percent of new salary. The Search Firm normally recommends an offer level which is commensurate with your skills. Virtually all search firms require personal observation of candidates before refer-ring them to clients. 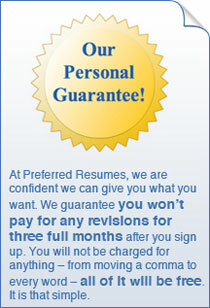 They state that they interview all applicants so they know who to refer and will need to meet you to insure you qualify. However, in practice they cannot see even a fraction of those who apply. To satisfy their ambiguous requirements you should state that you recognize that the recruiter will want to meet you, and you will call to arrange a suitable time. You should then expect that when you phone you will be denied a meeting, but should use the contact to attempt to favorably impress the firm, trying to have your resume retained for future retrieval and referral. You should commit your acceptance of an offer to writing, confirming when you are expected to start and obligating your new organization to you. You may further wish to clarify or confirm the particular offer conditions. When an offer has been made in writing and the conditions have been clearly indicated, you may respond with a brief letter merely referring to the offer. However, when an offer is only oral, or where die offer letter failed to provide important conditions, you need to confirm your understanding to avoid confusion and problems. This letter should detail all important conditions, including salary, the time period for which the salary is calculated (monthly, weekly, etc. ), hours of work, benefits, review or promotion promises and amounts, any special conditions, and perhaps job assignments, duties, or responsibilities. You also need to write a letter either rejecting any offer you decline or confirming your rejection. You should be careful to retain as positive a relationship as possible - you may again be a candidate. The standard business letter format is required. You should take special care to leave a positive impression, including expressing your satisfaction with the circumstances and your eagerness to join such a fine organization. Once you've accepted an offer, you need to call or write all of your supporters, references, network contacts, organizations considering you, and agencies which have your resume. You have an option of using your own stationery, or, with your new firm's approval to use the new company stationery, to notify supporters. The standard business letter format is still required, although you should be informal with those you know well. Your supporters should be thanked, and you should indicate your reaction to the new job. Be sure you provide your new business location, telephone, and fax.